COUNTRY ESTATE! 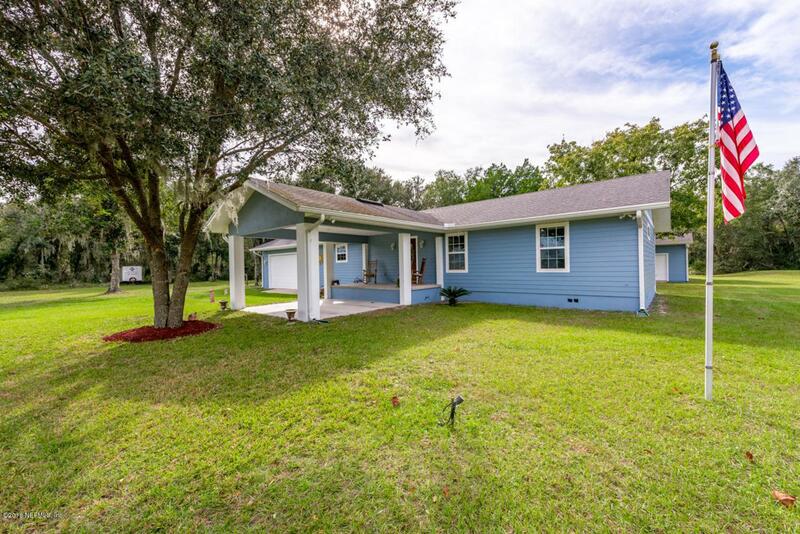 This fabulous 2.2 acre property includes a monitored alarm one story home, RV/boat covered parking with water and 30 amp service. Large shop w/electric, 2 garage doors and 2 entry doors with complete wood working tools. Radial arm saws, table saw and much more. Never bug out again for storms with concrete bunker/safe room within house footprint. Open floor plan allows tons of lighting. Kitchen is a cooks delight with custom cabinetry that opens to living area and fireplace.Vaulted ceilings throughout with large master suite and walk-in closet. 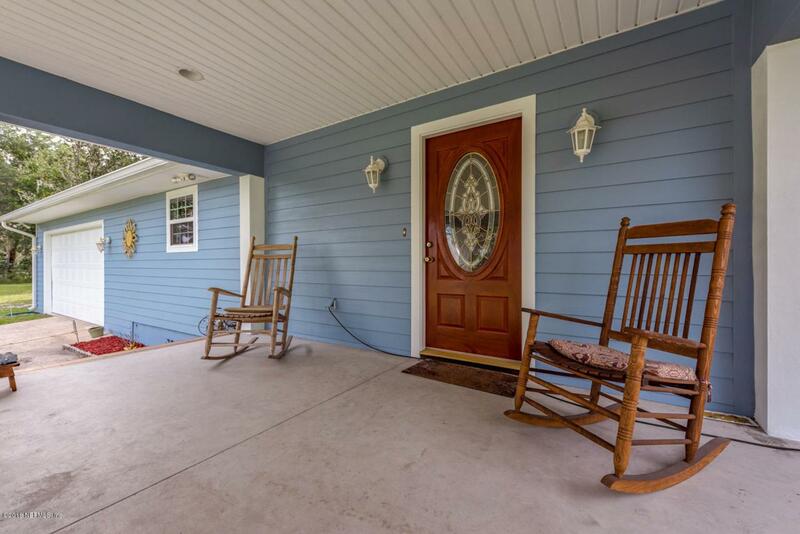 This home comes fully furnished including all wood working tools. Enjoy all that St. Johns River has to offer. 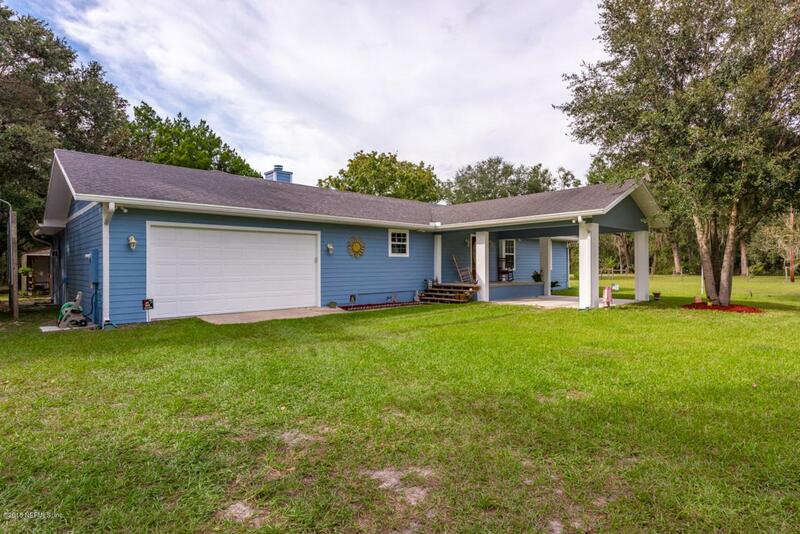 Great fishing and just minutes away from public boat ramp. Watch the many species of birds and other wildlife amongst the canopies of mature oaks, while relaxing on your back deck or screened porch. Amazing sunsets over the River. Property is completely fenced. 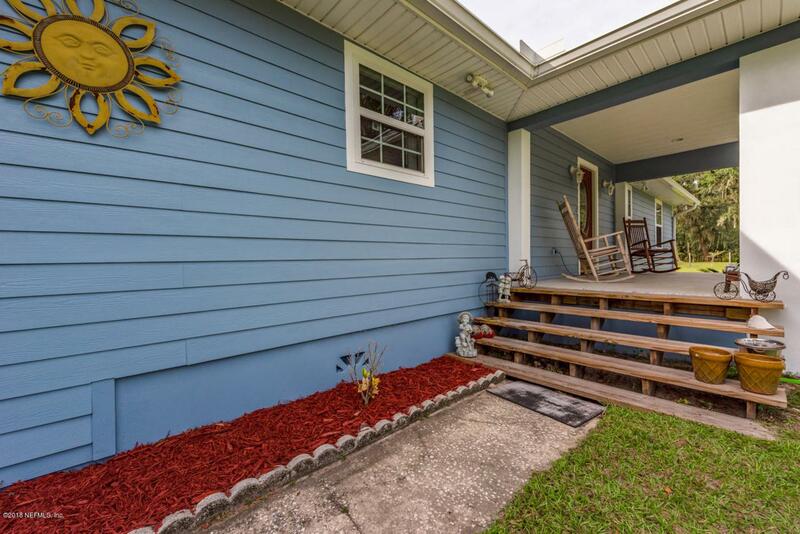 Short distance to downtown St. Augustine and beaches. No HOA or CDD. Just peaceful quiet surroundings.